Introducing the spiritual antonym to those bacteria-happy steam rooms at your local fitness club: Iglucraft’s gorgeous, wood-paneled saunas. 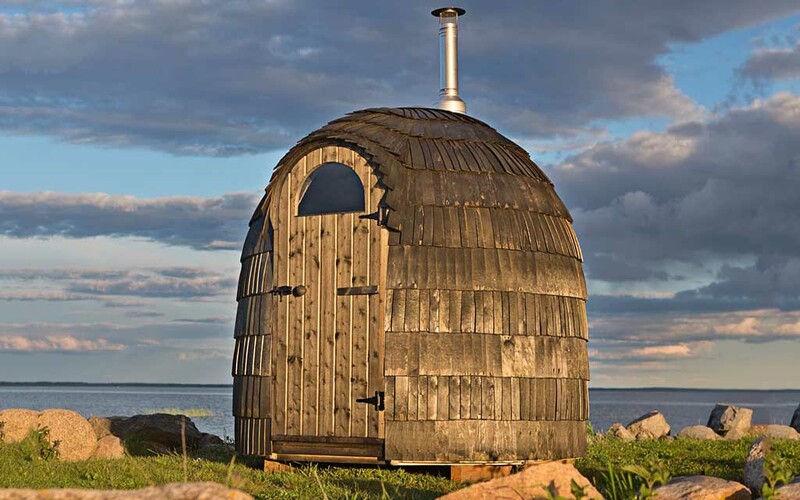 The Estonian company makes a line of saunas clad in Nordic-grade shingles, in addition to five different models of cabin. If you’ve planted roots in Europe (or are planning to, perhaps thanks to this information), you can now order one of the bespoke units for your own backyard. Iglucraft’s five cabins are all winners and surprisingly affordable: none will run you more than the cost of a mid-range SUV, and the smallest, which comes with a kitchen and bedroom, is priced at $22.5K. The resident big daddy, named the “Family Pod”, includes a bedroom, shower, kitchen and dining room/bedroom hybrid. All are outfitted with a functional kitchen, electric heating, outlets and a fair amount of storage. But we’ve seen their kind before. The real takeaway here is Iglucraft’s sauna, which is available in three sizes. The smallest fits four people, while the largest fits six … and a changing room. It’s no surprise Northern Europe is at the fore of this trend, given the region’s obsession with steam rooms. Estonia’s neighbor Finland has 2 million saunas for 5.5 million people. To get in on the action, you can either move to Europe or hang tight for when Iglucraft (and offshoots like it) start offering their service in the States.